* Based on the original DM's Guide! * Every conceivable terrain and climate! * Art of wildly varying style and quality! * Long words you'd never use in real life! 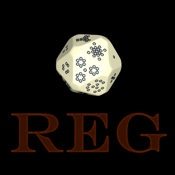 Random Encounter Generator (REG) is an iOS app designed to streamline the encounter process for Advanced Dungeons and Dragons (aka First Edition). It is easy to use and will save you time rolling an encounter. 2. Tap through the sub screens for dungeon level, climate, etc.